We offer our clients a highly consultative approach to transcription and as such we provide a varied range of styles to suit the needs of any document. We recommend discussing your requirements with one of our staff members to ensure the correct style is applied to your transcript, however, for your information we outline our varied range of transcript styles below. Verbatim Transcript: A word for word account of everything said. At your request we can remove false starts, stutters and correct grammar where necessary. Commercial Transcript: Bridges the gap between spoken and written English. Our writers will use their discretion to adjust sentences, grammar and punctuation to ensure the document is less 'script like' and reads smoothly. Summary: Summarising the transcript through deletion of repeated and superfluous content and focusing on primary areas of discussion or topics. Client Guided Summary: At your request we are able to work to a brief, honing in on topics chosen by you and your colleagues. How succinct this will be is entirely your choice. 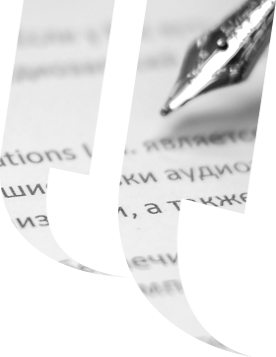 Translated Transcript: For the purpose of reviewing translated content with ease, we are able to produce any of the above transcripts in over 100 languages which can then be translated and then either vertically or horizontally paragraphed offering ease in comparison. We also excel at fast turnaround requirements having delivered transcripts within hours of receipt of audio on many occasions for our clients who have tight deadlines. Schedules of priority for a rolling basis delivery can also be adhered to.